The campaign to abolish slavery in the United States was the most powerful and effective social movement of the nineteenth century and has served as a recurring source of inspiration for every subsequent struggle against injustice. But the abolitionist story has traditionally focused on the evangelical impulses of white, male, middle-class reformers, obscuring the contributions of many African Americans, women, and others. 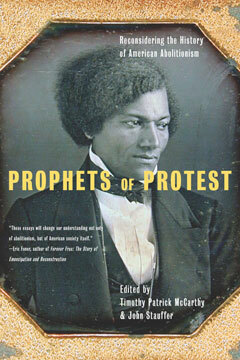 Prophets of Protest, the first collection of writings on abolitionism in more than a generation, draws on an immense new body of research in African American studies, literature, art history, film, law, women’s studies, and other disciplines. The book incorporates new thinking on such topics as the role of early black newspapers, antislavery poetry, and abolitionists in film and provides new perspectives on familiar figures such as Sojourner Truth, Louisa May Alcott, Frederick Douglass, and John Brown. With contributions from the leading scholars in the field, Prophets of Protest is a long overdue update of one of the central reform movements in America’s history.